Its all over, and the message has been given – Sonic, JUST Sonic. 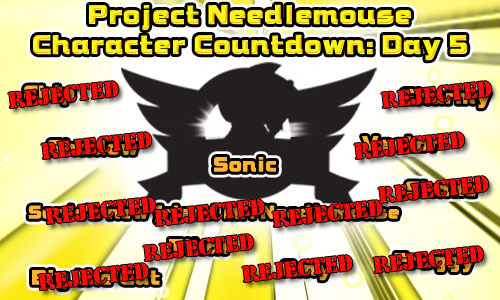 Yes you can breathe a huge sigh of relief (or disappointment) as Sonic is gauranteed to be the only character in Project Needlemouse. Shadow, Mr. Needlemouse, et al all bit the dust on the final day as confirmed on the Sonic City Blognik and SEGA America Blog. Fans also were given as their bonus point reward a piece of concept art, now that looks to me like a traditional style Badnik to me…. draw your own conclusions in our comments section! 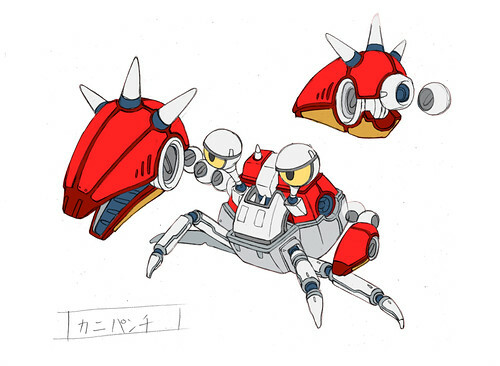 Oh nose, Eggman seems to have run out of E-Type robots and is reusing the crab design. Run from the crabs, people, for we are dooooooooooooooooooooooooooooooooooooooomed!!!!! Glad to see SEGA are taking it backwards, back to the good days. Let’s see if they can pull it off! I sure hope they can! …are you kidding me!?! Out of everyone Sonic is the last one standing?? How can there be a project named Needlemouse if Mr. Needlemouse isn’t going to be in the game?? Oh well….at least there’s a new Sonic game coming out. Bee I Lion, Mr. Needlemouse was the original codename for Sonic way back in the 90s. He’s one and the same with Sonic. Yeah I figured that later, I just forgot. It’s just that I hardly think when I’m upset. Like when most of the Sonic characters were rejected, disappointed me.